Hunters value their hunting gear almost as much as they value their time in the woods. The HUNT LOCKER™ was developed with these core realities in mind. The act of lugging one’s gear back and forth every time you enter the woods not only wastes precious time – it makes noise, creates sweat, leaves your scent, and in unfortunate cases – results in dropped and lost items along your path. Why carry armloads and backpacks of essentials into the woods each morning – only to carry them back out with you at the end of the day? For those that hunt in areas where baiting is permitted, the HUNT LOCKER™ serves as a DNR-compliant bait distribution center*. Why lug your allotted 2 gallons of bait into the woods each time you hunt, when you can securely store your bait a few feet from where you stage it? With over 75 gallons of storage capacity, you can stock your HUNT LOCKER™ in September and make your supply last thru the rut. Made from fiberglass-reinforced plastic – the HUNT LOCKER™ is made to take a beating. We’re talking the same materials used in boat-hulls and in automotive bodies. The HUNT LOCKER™ is made by hunters – for hunters. 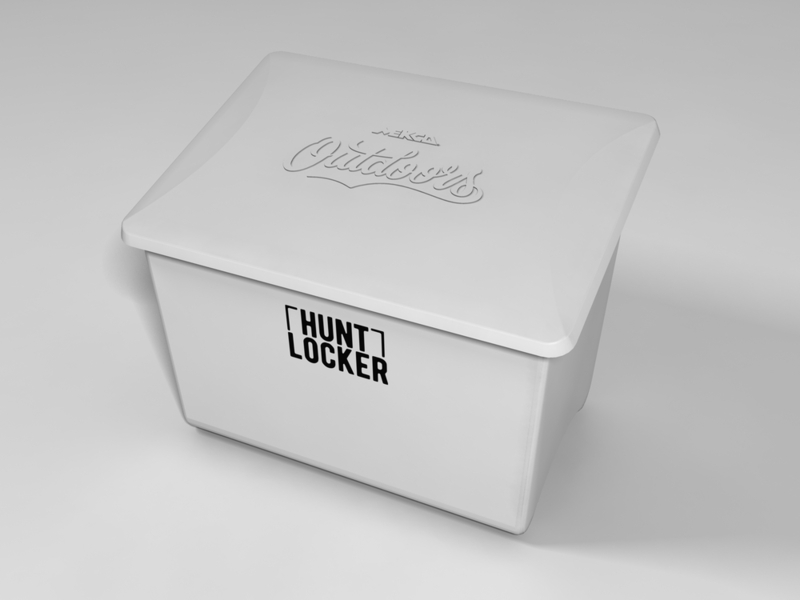 Buy the HUNT LOCKER™ for yourself today; you and your children’s children will appreciate your quality investment. Built To Last Forever- The Hunt Locker will not deteriorate, breakdown or rot. Varmint Proof - Even a chain saw would struggle to gnaw through the Hunt Locker! The HUNT LOCKER™ is was designed and built to withstand the most-abusive conditions. Wind, rain, snow, varmints, and even road salt – don’t stand a chance against these Fiberglass Reinforced Plastic (FRP) structures. The HUNT LOCKER™ brings storage to the woods or field. 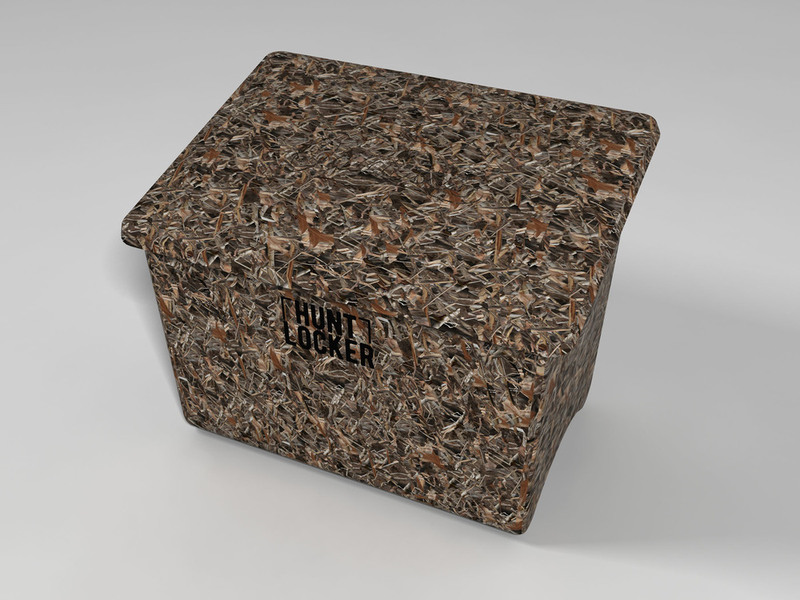 Whether it be storing your bow, game calls, decoys, bait, or survival provisions – the HUNT LOCKER™ was designed and built to offer versatility and longevity. Designed by engineers who have a passion for hunting and an affinity for quality; the HUNT LOCKER™ will become an heirloom – capable of being passed down to the next generation. The HUNT LOCKER™ is offered in a variety of colors and features and all are made with American pride in the great state of Wisconsin.